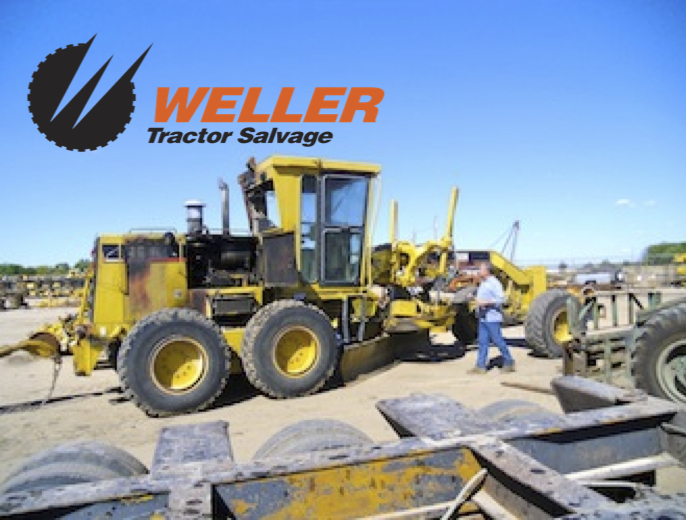 Weller Tractor Salvage is one of the largest heavy equipment salvage yards in the Midwest. We deal in used, rebuilt and new parts for most brands of heavy construction equipment. Serving our customers since 1962, 55 years in the used parts business gives us a competitive edge and a huge inventory! If we don't have the part you need in our inventory we can locate it through four nationwide parts hotlines. We're located in the Heart of America (Great Bend, Kansas). Inventory is added DAILY. Parts on the shelf are clean, inspected and ready to ship. Parts on machines in our yard can be removed, inspected, cleaned and on the way without delay. If you've got a piece of construction equipment that's ready to retire, give us a call. We're always on the look-out for burnt-out, storm-damaged or just plain worn-out machines for recycling into good, used parts. 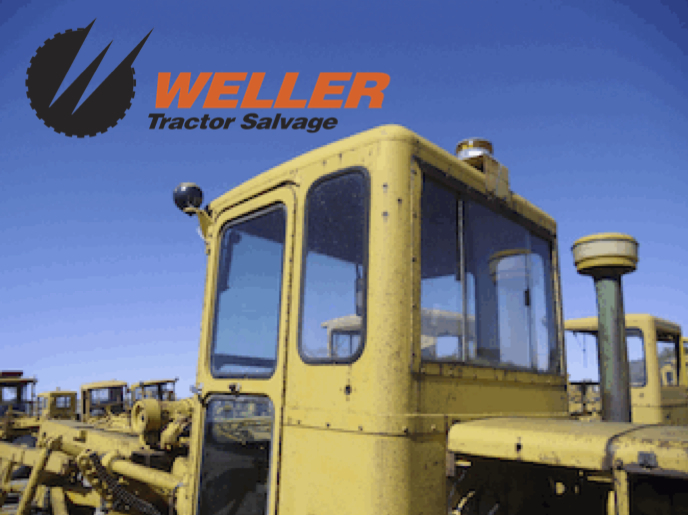 Weller Tractor Salvage has parted out hundreds of machines over the years. There are over 60,000 parts on our shelves ready-to-go & more on machines in our yard. Caterpillar, John Deere, Galion, Champion, Austin Western, Case, Huber, Wabco, Allis Chalmers & more. Continue reading to find out what we're tearing down now. This is the answer to your grader blade needs... We fabricate new replacement moldboards right here in our Kansas shop. These moldboards have been tested in the field on real jobs and they get rave reviews from equipment owners and operators. We specialize in moldboards for Caterpillar© & John Deere©. Call us for pricing. Demolition Derby. Dirt. TaeKwonDo. MOTORGRADERS. Kansas Skies. Old Cats. Rock Chalk Jayhawk KU Basketball! Rust. Jeremy Weller's Band. Stephen King. Kansas. Used Parts Network Conventions. Doodles. Mangled Parts. Things That Make Us Laugh. Welsh Corgis. Bob Marley. The Manshed. Pokémon GO. Purple Martins. 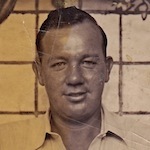 Company founder, Ralph Weller, was born in 1916 and he was our guiding light until his death in August of 2004. Ralph started in this business with just a "lick & a promise." We're very proud of what he accomplished. Read more about Ralph's Life & Times HERE. 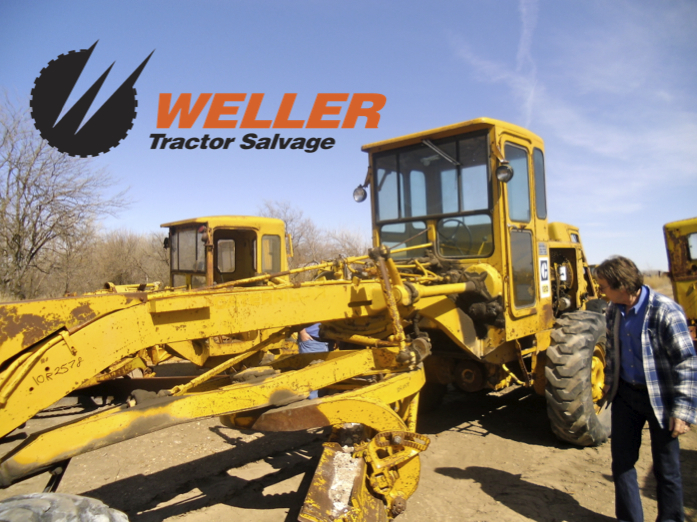 Copyright © All Rights Reserved - Weller Tractor Salvage, Inc.